It’s only episode 2 of Baseball Time in Texas and we already have more content than we know what to do with. In our first segment, Jamie and Bobby tackle the Rangers’ Outfield situation. Josh Hamilton claims he’s as healthy as he’s been in years, but how much can the team rely on him? We welcome WFAA’s Rangers Beat Writer Levi Weaver in segment 2. Levi wrote this week about the troubled past and hopeful future of Rangers Pitcher Matt Bush. 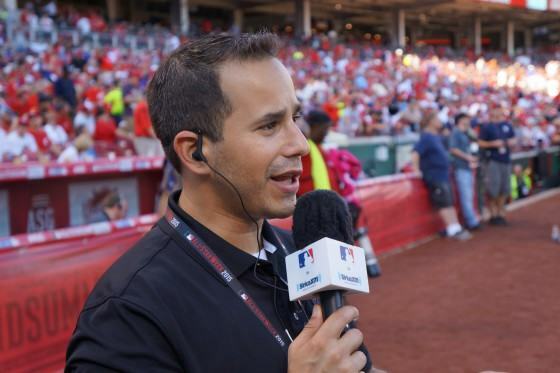 And Rangers fans have excitedly waited for the release of MLB Network Radio’s special “Deep in the Heart of Texas.” Casey Stern, the host of the program, joins Jamie and Bobby to share his thoughts on the 2016 squad. Continue reading Baseball Time In Texas Ep 2: Casey Stern, Levi Weaver on Matt Bush, & Rangers OF Discussion at Rangers Outfield.